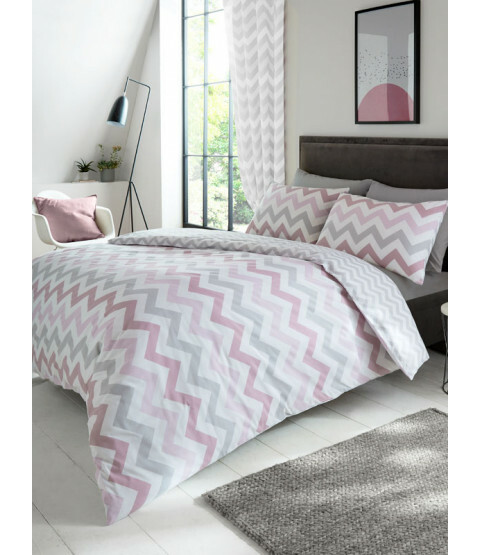 This Chevron double duvet cover set will add a stylish finishing touch to any bedroom and is part of our exclusive Metro Collection bedding range. 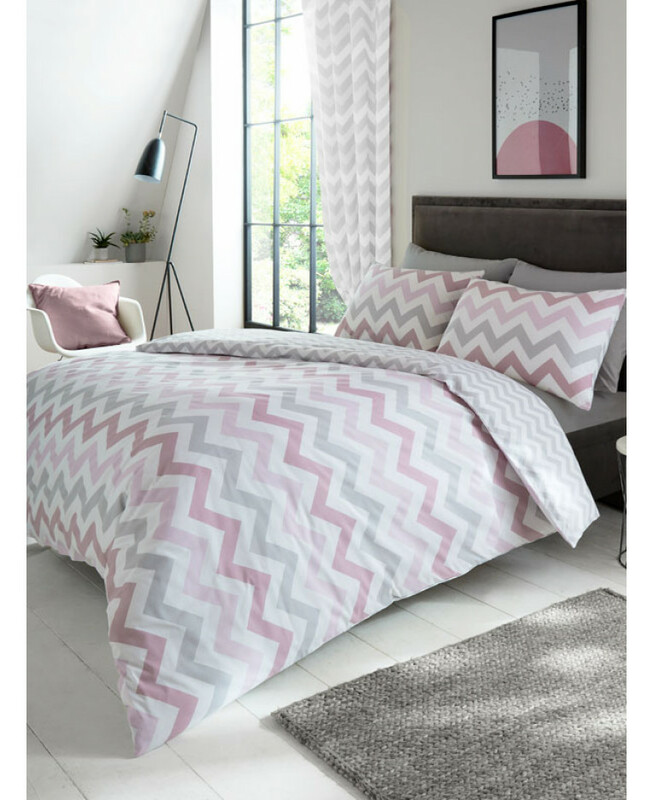 The design features a classic zig zag chevron pattern in complimentary tones of dark dusky pink, light blush pink, grey and white, with a coordinating grey and white version on the reverse. 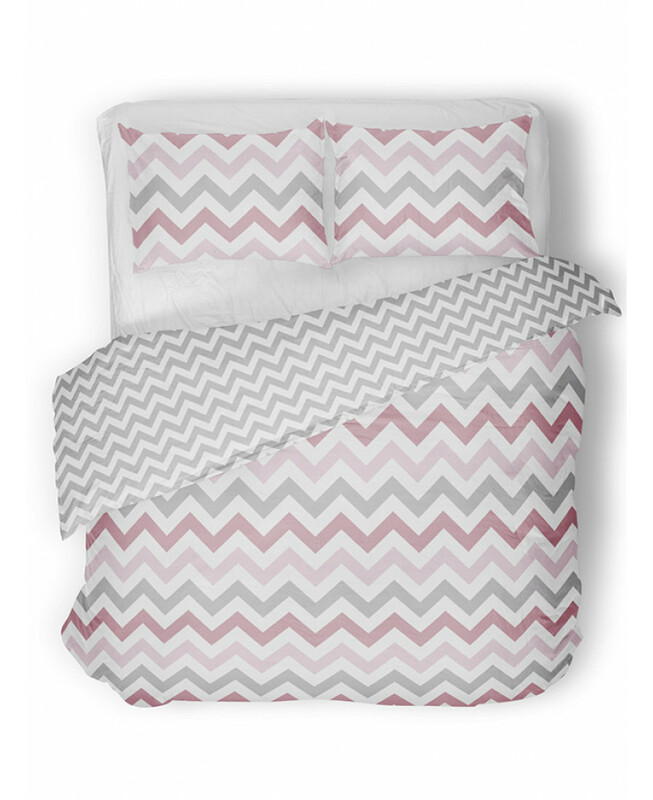 This bedding set is made from a polycotton blend and can be machine washed and tumble dried on a cool setting.